I am no stranger to frightened faces when I utter the words, "spin class" or "cycling". They immediately cower at the suggestion and tell me how that may be a bit too "intense" for them as they wiggle around uncomfortably at the thought of a painful "seat". This is where I have to insert my surprise, "Are you being serious?!" For those of you who are terrified, let me tell you a little secret as I have been taking/teaching classes for over five years: Cycling is one of the few group classes where you can actually fake it to make it and truly go at your own pace without standing out. It is pretty obvious in kickboxing, boot camp, step and sculpting class who is "struggling to keep up". That alone often makes people not want to return. 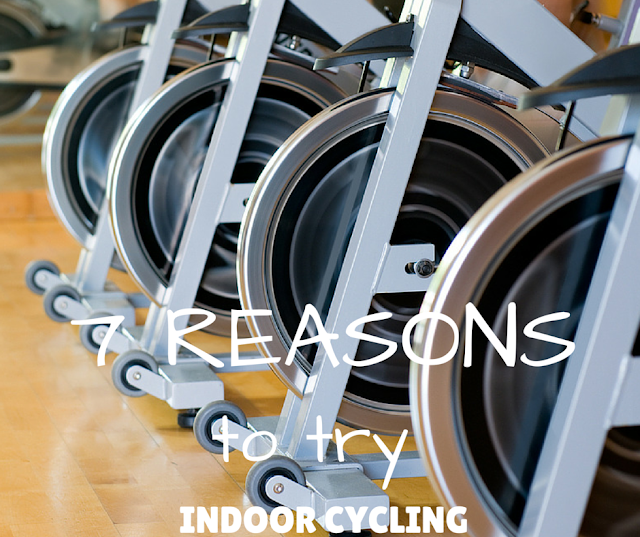 But with indoor cycling, that is just not the case. You can do as little or as much as you like. 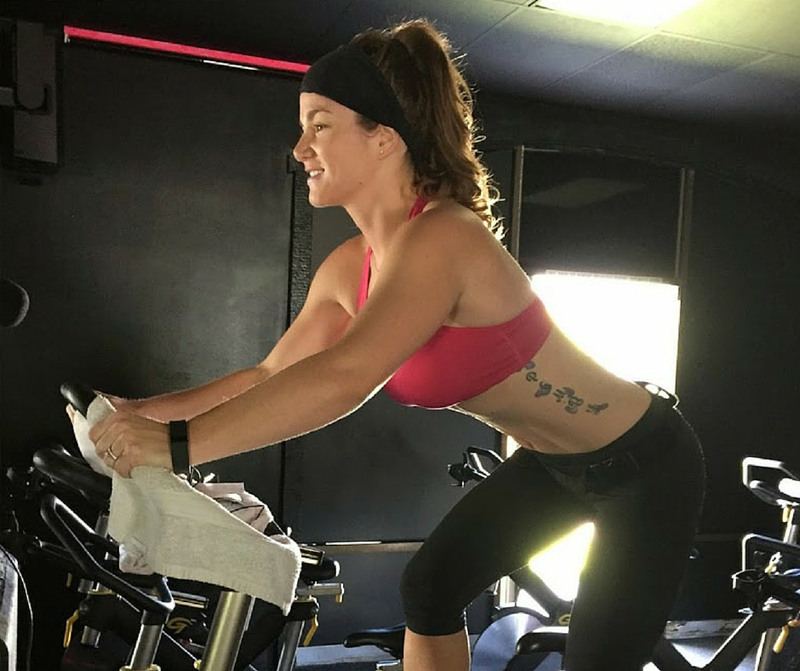 You can murder yourself with the uphill climbs and take the sprints by storm, or you can just pedal your little heart out to a steady 300-500 calorie burn. The choice is really yours. As an instructor I always reassure clients there is nothing to fear. If you show up to the class and you do your best, then nothing else matters. Do I want you to challenge yourself? Well of course! Can your instructor tell if you have added resistance when they just screamed for you to do so? Sorta. Does anyone, (including the instructor) really care? No way! That is the greatest thing about cycling, it is all you. You get to decide. You determine the intensity of the workout. Your instructor will motivate you, but you can take it or leave it. Still thinking, "Fat chance Em"? Well then let me count the reasons you should at least give it a shot. Anytime Works. I know for me, if I have a cardio workout planned then there is no meal allowed before. A light snack, (nuts, banana) now thats fine, but anything too heavy and I'll vomit all over the floor. But with cycling, since you aren't jumping around there will be no tummy ache! I would suggest still keeping it rather light, but you don't have to fear the food. Low Impact. Since I myself have weak knees, I can't do a lot of workouts for too long without feeling the pain...and not the good kind. With cycling, my knees are protected and there is no pounding (like with running) which makes for a pain free session. Strength AND Endurance Training. Not only does cycling work your different muscles when adding resistance on hills, but your endurance is also going to be pushed by maintaining tempos and speeds. Let's not forget those sprint intervals which will torch calories in a jiffy! Total Body. The old days of just sitting on a bike and coming out of the saddle here and there are looonnnggg gone (thank goodness!). Most studios these days, (like our favorite is Bike2theBeat in Newport or Tustin) you are going to get a total body workout like no other. Legs in constant motion working all muscle groups. Core engaged as you maintain proper form and keep it tight and right. Arms working through a number of moves like pushups and forward/backward motions. Now that is what I am talking about! No Hangover After Hitting This Club. No need to get all gussied up and wait until the late hours of the night to head out to the club. Now you can throw on your workout gear, grab your water and towel and hit the studio from morning to night. When the lights dim and the beat drops you will love the dance party you have on your bike, no cocktail needed! Sweat Like A Mother. If you are planning to go somewhere where you don't want to look like a drowned rat following class...don't. Cycling will leave you drenched...in a good way. With all those toxins leaving your body, you are sure to feel physically and emotionally refreshed. Don't forget a towel..and maybe an extra shirt for after. Connect. When you join a fitness community (for any activity) you usually end up making connections with other people taking the classes. Often times those connections become friendships and soon you have someone wondering where you are if you don't show up...enter the love/hate relationship with accountability. I too was a bit terrified of indoor cycling before I started years ago. I had only seen the dimly lit rooms, packed with sweating beasts and was sure it was too much for me. Then I tried it, became obsessed with it and now teach myself... how is that for full circle?? If you take a "traditional" cycle class at a corporate run gym, prepare for a different vibe. Lights may have to be on, music will be predetermined and you may have a sore tush from sitting in the saddle. If you take to the small studio route your experience may be completely different. My advice? Try a few different places and see what works best for you and your body. Try working it in a few times a week and really give it a shot. I promise you won't be disappointed when you leave drenched in your own sweat with jelly legs and 600-1,000 calories less then when you started. All class packages and memberships are valid on both cycling and yoga classes. 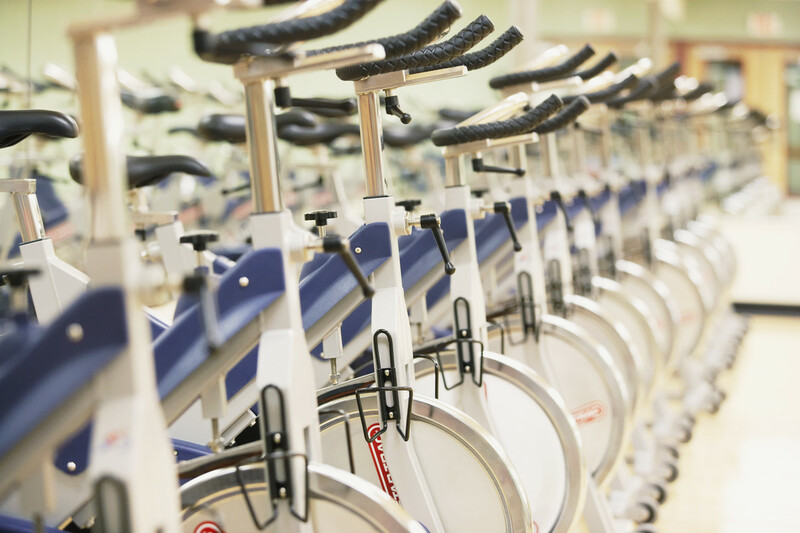 We currently offer classes in both the morning and the evening Indoor Cycling.